Slow cooking is nothing more than the classic technique of braising in which meats or poultry and vegetables are tightly covered and slowly simmered in liquid until succulent and tender. The only difference is that instead of doing the cooking on top of the stove or in the oven, all the magic happens in an appliance made especially for the job—a covered ceramic or stainless steel crock which sits inside an electrical unit that surrounds the crock with gentle heat. 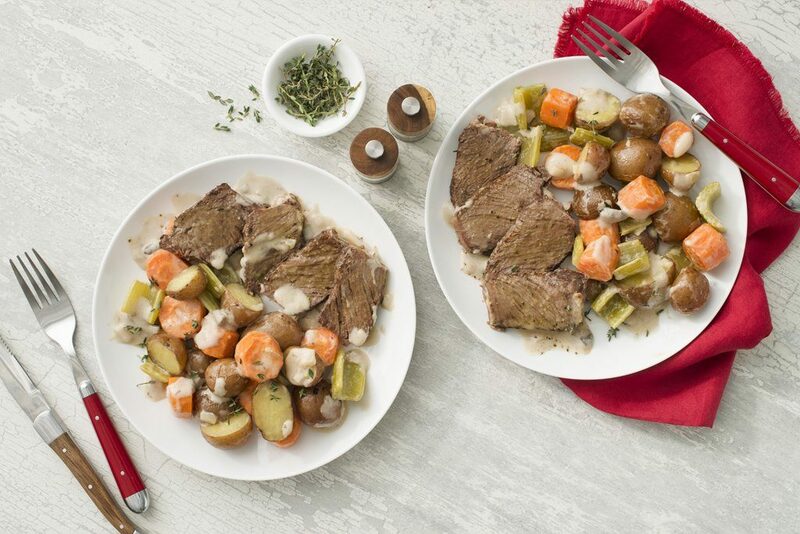 Because slow cooking is much more hands-off for the cook than braising, it’s an ideal option for anyone with a busy schedule. Although synonymous with cold weather meals like stews and chilis, more and more people are turning to their slow cooker for everyday use; it’s just as useful in conquering dinner with a variety of different meals you can plan week after week. Slow cooking is the equalizer for weeknight dinner when it comes to tougher, less expensive cuts of meat like brisket or pork shoulder, where they can simmer until fork-tender. Yum! 2 - Look for a cooker that has a removable ceramic or stainless steel insert for easy cleaning. The insert should have sturdy tabbed handles for moving it from the cooker to the table. And while not absolutely necessary, an insert that can be used on the stove or in the oven to brown meats for an added layer of flavour is a nice feature (note that traditional ceramic-style crocks are not safe for stovetop browning). Read the manufacturer’s instructions to determine if your insert is capable of stovetop browning. This is critical to the success of recipes as well as an indication of the quality of construction. Some slow cookers are designed with clamps on the sides to keep the lid in place during transport—a nice feature when taking a dish to a potluck. The heating elements of most slow cookers are on the bottom of the unit, but high-quality models have elements wrapped around the body as well and tend to cook foods more evenly. Appliances with this wrap-around feature are usually more expensive than those with bottom-only elements. Make sure the slow cooker insert is perfectly clean before using and thaw all ingredients before putting them in the slow cooker. For best results, don’t fill the crock more than 2/3 full, and resist the temptation to remove the lid during cooking. Because hot steam will collect under the lid, raise it carefully and away from you when food is done. Pro-Tip: Entrées aren’t the only thing that can be prepared in a slow cooker—it’s also great for side dishes and even cakes.